Unfortunately, a lot of people snore. Some only do it when they have a stuffy nose and/or are having an allergic reaction to something – but a lot of people have it all the time. In fact, it’s been estimated that as many as 45 percent of people snore, with about 25 percent falling into the realm of ‘habitual snorers’. Snoring might not seem like a big deal to those who don’t have to endure it – but believe those of us who do when we say that it’s not any fun. Snoring causes a lot of problems. It can keep you from getting a good night’s sleep, and can also keep your partner from being able to get enough of it as well. Some people snore so badly that they’re forced to move to the couch or a bed in a different room so that their significant-other can actually catch some sleep. Of course, in all of this, the snorer will often feel frustrated that they cannot control the problem, and will also likely be suffering from mild to moderate sleep deprivation themselves. And if sleep apnea is anywhere in the picture, the situation quickly becomes worse! Sleep apnea causes people to stop breathing for seconds at a time, usually do to an ‘obstruction’ in the throat that may go hand-in-hand with snoring. This obstruction may be the walls of the throat itself, though it can also be the back of the tongue or soft throat/mouth tissue that’s getting in the airway. Regardless of the cause, however, basically all snorers will probably agree that snoring is a bad thing – which is why there are surgeries available to help prevent and/or remove the problem. But are surgeries worth the price? 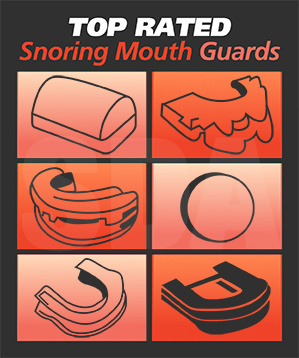 Here is some surprising information about the cost and effectiveness of stop-snoring surgeries. In Australia, there are basically seven different types of surgeries that could be considered as a means to help a snoring problem. Here is a brief rundown of the options. This surgery would seek to correct obstructions in the airway caused by a structural problem in the nose. These surgeries basically seek to correct snoring and/or sleep apnea caused by the tonsils or the adenoids by removing them from the body. This surgical procedure seeks to enlarge the upper airway through the trimming and/or tightening of the ‘flabby’ tissues of the palate and/or throat. This surgery is conducted with a laser, and is a relatively new option that has only come onto the scene in recent years. In this procedure, a small laser is used to make vertical incisions in specific problem areas of the soft palate and/or the uvula. This procedure involves the use of a ‘needle electrode’ to heat and shrink soft tissue in problem areas of the throat, mouth, and nasal cavities. This procedure involves the insertion of cords into the soft palate. This is supposed to promote ingrowth, which in turn will help to lessen the tendency for the tissue to vibrate during sleep. This procedure basically involves the injection what they call a ‘hardening agent’ into the upper palate. Costs vary, of course – but in most cases, you’ll find that getting a surgical fix for your snoring problem is going to cost you somewhere between $2,000 and $3,000. This generally covers everything – including hospital stays, anesthesia, etc. Surgery can sometimes help a lot – but not always. Unfortunately, there are no guarantees when it comes to surgical procedures for snoring or sleep apnea. In fact, a lot of people find better alternatives in products like stop snoring mouthpieces because they’re far less expensive, minimally invasive, and easy to implement. Stop snoring surgery might be a great idea for some people – but for the vast majority, it probably isn’t really a realistic option.